Landrover Defender: 1965 Land Rover series 2a SWB 88" ex military for spares repairs or restoration. 1965 Land Rover series 2a SWB 88" ex military for spares repairs or restoration. Sellers Comments - this Ex military Series 2a Land Rover. I think it could be ex RAF, but I'm sure someone will put me right on that.... This, obviously will require complete restoration. It had been used as a breakdown truck by the local garage here in Usk until it was parked up in 2002, first it was kept indoors, then later was evicted and has spent the last few years outside braving the elements. It joined civilian life in 1974 and was correctly registered as a 1965 vehicle with a "C" registration. (many were registered as if they were new vehicles) It would appear to have had just two previous owners since 1974. Other than the fitting of a truck cab, much of the original military equipment remains intact, which must make this a worthwhile project for the military vehicle enthusiast. The chassis has not survived particularly well. There are large holes along the length of the o/s chassis leg. The n/s is in better shape but has a large hole near the rear fuel tank outrigger. Basically it will need a lot of welding or a new chassis. The bulkhead is rusty but should be a good basis for repair using the available repair panels. Many series 2 bulkheads are now getting to the point where they are just not worth the bother. The front panel seems sound. Generally the bodywork is fairly straight in Land Rover terms other than the o/s rear wing which has been beaten straight at some point and has cracked. The Land Rover has been hand painted in a horrible shade of green hammerite but this is now peeling off in sheets to reveal the original military paint, still in surprisingly good condition! The engine runs if you pour petrol straight into the carburettor.... I could not get it to pump fuel from the tank to the carb... but then again, I didn't spend long messing with it. 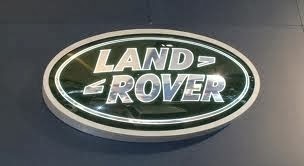 It rolls freely and steers easily, however both brake and clutch pedals have seized, so the Land Rover can not be driven. Other mechanical parts are therefore in unknown condition, but there is no reason to believe that there should be any serious problems here. It has a current V5c document and both the normal chassis plate and the military plate on the bulkhead.The registration number would appear to be transferable.